It’s hard to believe that we are already halfway through another busy year! After seven hard-working years as Operations Manager of VBB, we farewell Mandy Lamkin who has retired. We thank Mandy for her enthusiasm and dedication to the organisation in making a difference for people and animals across the globe. As we welcome three new directors to our Board, Dr Robert Johnson, Dr Hugh Millar and Denzil O’Brien, we also farewell Dr Andrea Britton and thank her for her tireless contribution to the Board in recent years. We also welcome our new Administration and Membership Officer Kate Neal and Caroline Zambrano, the Social Media and Marketing Co-ordinator. 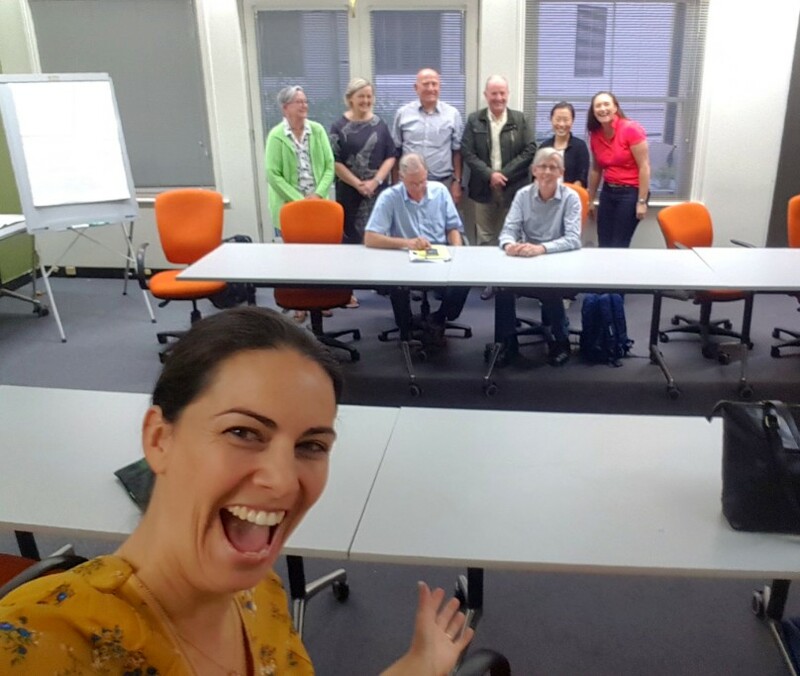 Together we met with the Board in Sydney to work on the strategic plan and to prepare for another exciting year ahead for VBB! I encourage you to contact both Kate and Caroline to welcome them to the VBB team and share your volunteering experiences! You can reach Kate on admin@vetsbeyondborders.org and Caroline on petjourno@gmail.com. The new VBB website is nearing completion and we acknowledge and thank Declan Reynolds and his team from Iformat who have generously donated the development of the new website to VBB. Our thanks must also go to past director Gavin Biggs, who has given hours of his time to co-ordinate the technical side of setting up the new website. I encourage you all to take the time to have a look at the new site! We continue to develop our VetMatch and VetTrain programs across the globe with new and exciting projects getting underway. We now have volunteers working on projects in Sardinia, Cambodia and Botswana as well as our existing projects in Ladakh and Sikkim in India. We will soon be working in Samoa helping the local police department manage their dog population and, in the not too distant future, we aim to be working with the Fiji National University introducing the new phase of VetTrain. Thank you to our wonderful volunteers – without you, we simply couldn’t make all our achievements possible. There’s still more work to do if we are to ever eliminate dog-mediated human rabies in India. We are calling out for more volunteer vets and vet nurses to support VBB VetMatch and VetTrain programs. If you would like to volunteer, please email vetmatch@vetsbeyondborders.org. 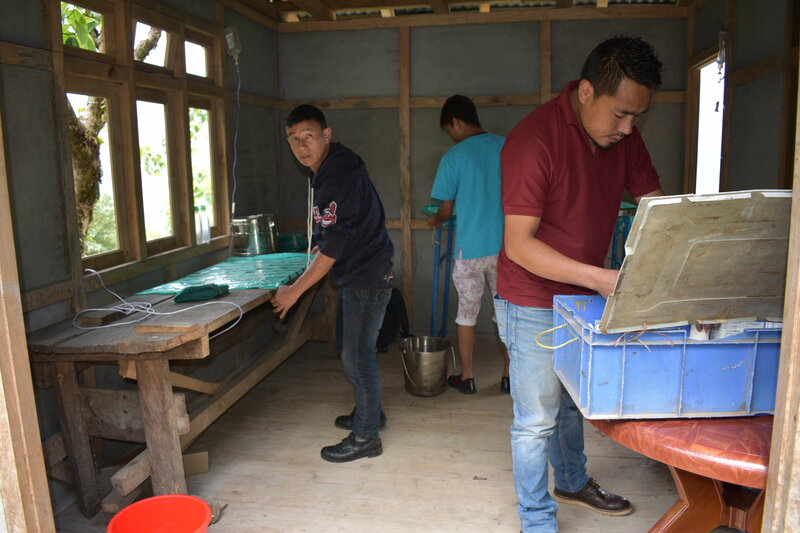 We also need funds for the care of sick and injured street dogs through the purchase of medical and surgical supplies in Sikkim, and to vaccinate street dogs for rabies, as well as to run public education programs. 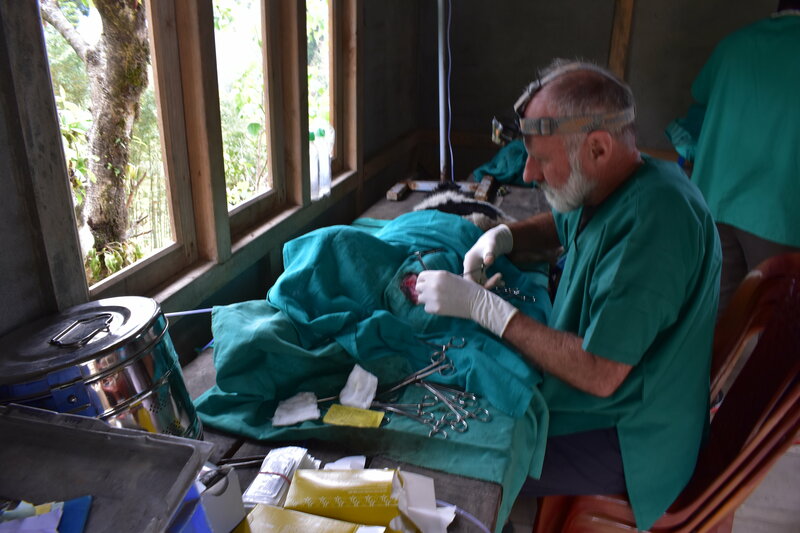 Here is an excerpt from the diary of VBB life member and veterinarian Dr Alan Sherlock at Sikkim, India, as part of VBB’s Sikkim Anti-Rabies and Animal Health (SARAH) program. April 2018 – Here we are in Pelling, where the Himalayas and the Mount Kanchenjanga Range can be easily viewed. We are setting up the OT and I’m in action! Have to be careful not to be too distracted by the view out the window. Three plastic stacked chairs give me the exact height I need for seated surgery! A great day’s work, with 43 dogs done. Interestingly here, about ninety percent of the dogs are male. The villagers prefer males and many of the owners take the females into Gyalzing and dump them in the market place. This could account for the quite high female count we had in ‘street dogs’ a few days ago. But the day was not yet done. A hundred metres up the road ‘our cow’ awaited its surgery to close up the hernia under the tail. When we arrived late afternoon, a card game was in progress in the front court yard. The cow was lightly sedated and the surgical area infiltrated with local anaesthetic. About 1.5 hours later, the cow was all closed up and we reckon we had made a pretty good job of it… and the card game continued! Time for a refreshing cup of tea! The card game continued, seemingly more interesting than a hernia operation on a cow in the front yard! 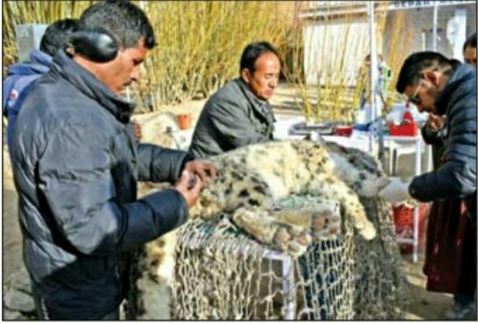 Earlier this year, a Himalayan Snow Leopard was found badly injured near an isolated village, Liktse, out of Leh, Ladakh in northern India. The snow leopard was unable to stand on his hind legs, in distress and dehydrated. The wild cat was immediately taken for treatment to the Feral Dog Sterilisation Clinic in Skara, Leh. The animal was tranquilised, given intravenous fluids and antibiotics, and spinal X-Rays taken. The Leh team then contacted VBB to request assistance with the examination of the radiographs. We reached out for an opinion to our volunteer veterinary diagnostic imaging specialist Dr Sarah Davies in Sydney. Dr Davies was able to confirm no detectable injuries were visible on the radiographs. We recently received word from Dr Stanzin Rabgais from the Department of Animal Husbandry that the injured snow leopard has made a full recovery and released back into the wild! VBB depends on volunteers like Dr Davies to provide assistance as required, so that we can play our part in saving the wild, too. Are you interested in volunteering at Ladakh? Watch the Himalayan Snow Leopard rescue here! Exciting new phase of VBB’s VetTrain program set to begin, and you can help! Vets Beyond Borders’ well-known and highly successful VetTrain program enters an exciting new phase later this year in Cambodia! VetTrain was initially devised to refine the surgical skills of Indian vets and support staff striving to improve the lot of street dogs and to manage their burgeoning population in a humane manner by surgical sterilisation. This work remains an important aspect of VetTrain; however, it is clear that there is also a need to provide training in other clinical disciplines to allow appropriate treatment of the myriad of diseases and injuries that afflict animals struggling for survival on the streets of towns and cities around the world. Street dogs all too often suffer major traumatic injury due to motor vehicle accidents. Many simply do not receive the necessary care due to lack of appropriate training of local veterinarians. Dearth of necessary surgical equipment is also a major issue. Accurate diagnosis of disease, whether medical or surgical, is essential to optimise outcomes – again, lack of clinical training and equipment are major concerns. Many dogs that do survive are debilitated thereafter and can experience needless suffering. To address this sad situation, with the support of the Australian and New Zealand College of Veterinary Scientists and assistance from veterinary Colleges overseas, VBB has drawn on the generosity of veterinary specialists and vets with other relevant post-graduate credentials and experience to create a register of teaching staff willing to travel to our ever-increasing list of VBB Partner Organisations to deliver training on a range of clinical topics. Training is delivered in areas of greatest need and is free of charge! The first of these VetTrain sessions is scheduled to be held in Cambodia in November this year. 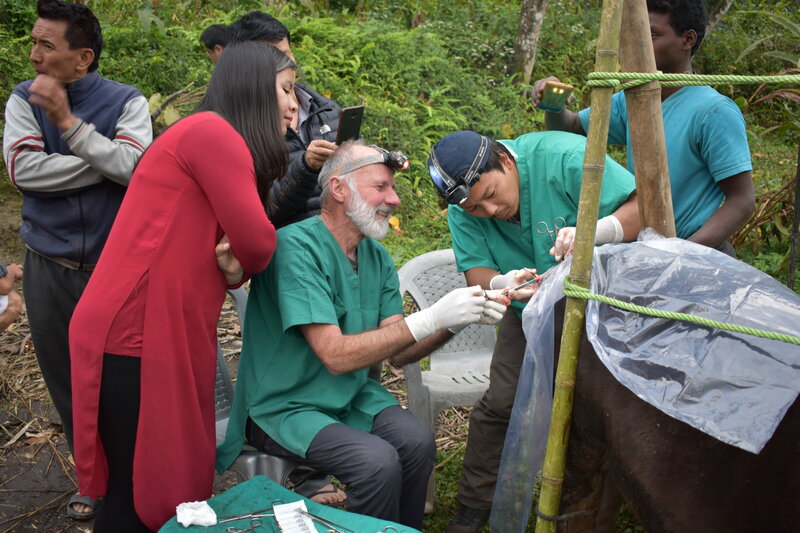 Three VBB volunteer veterinarians will head off to Phnom Penh for two weeks to provide instruction on clinical techniques in the areas of small animal anaesthesia, surgery, internal medicine and diagnostic imaging. Training will be held on the premises of Phnom Penh Animal Welfare Society (PPAWS), a long-standing VBB Partner Organisation. Instruction will be provided to veterinarians from PPAWS and several other animal welfare groups in the region. 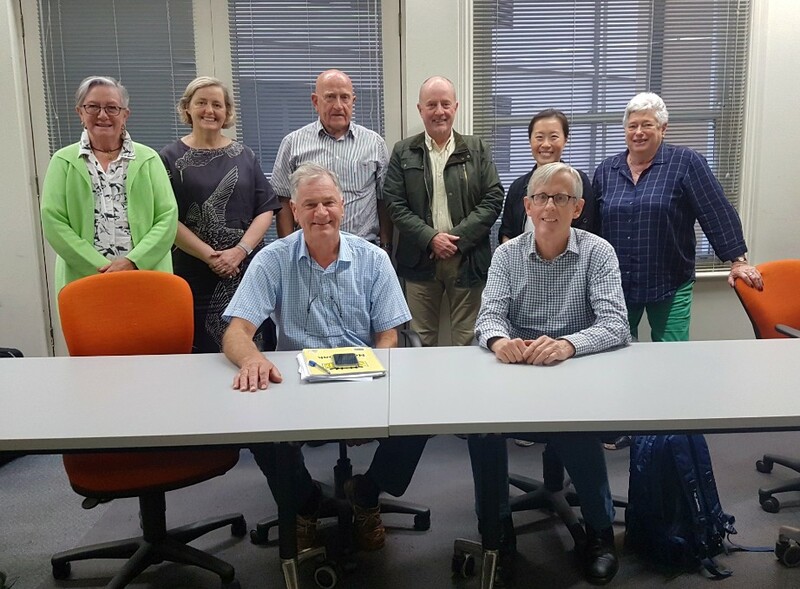 The training team comprises Drs Gordon Corfield and Grace Wicks from Veterinary Specialist Services in Queensland and Dr Luke Michel of Greencross Vets’ Fairy Meadow Veterinary Hospital in NSW. If you wish to assist this work, please consider making a donation that will enable VBB to purchase basic, but direly needed, clinical equipment for use in VetTrain courses. Your generosity will allow our big-hearted volunteer instructors to instil clinical skills, which will lead to direct and sustained improvements in the care and welfare of homeless and street-living animals, wherever VetTrain is delivered. 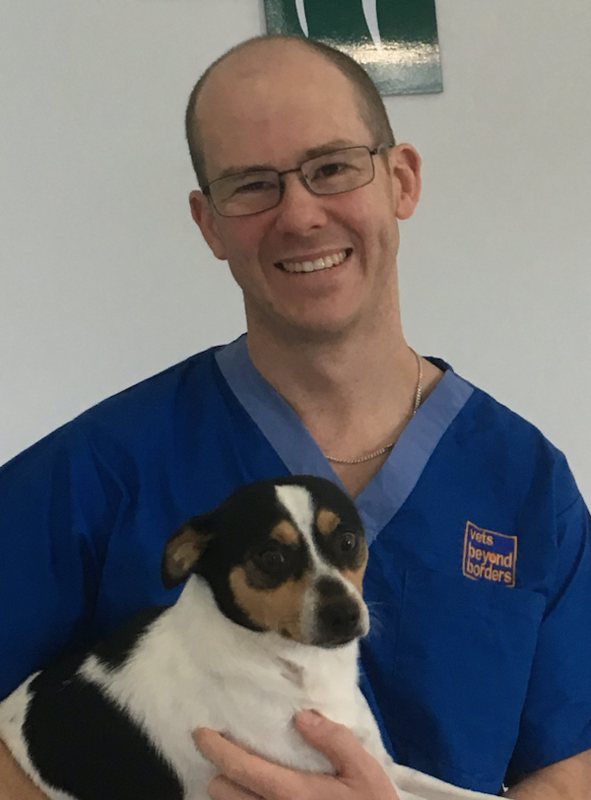 Dr Luke became a VBB member this year and is preparing to head off on his first trip to Cambodia in November as part of our new VetTrain program! 2018 ASAV, SCGV and AVBIG Combined Conference! 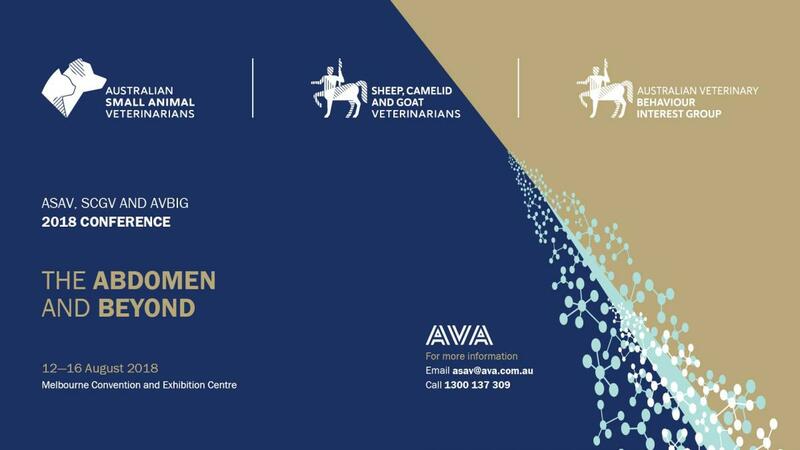 Vets Beyond Borders has a stand at the 2018 ASAV Conference in Melbourne in August, and the theme is “Abdomen and Beyond”. Please drop by and visit the VBB stand in the exhibition hall for a chat. We will let you know the latest volunteer opportunities that are coming up this year and in the year ahead.